Worldwide icon-chevron-right North America icon-chevron-right United States icon-chevron-right Illinois icon-chevron-right Chicago icon-chevron-right What's up with that? 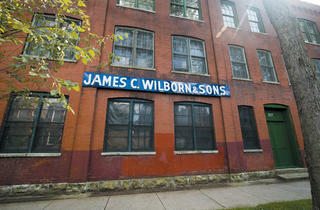 What's going on inside the James C. Wilborn & Sons building? A Well, Matt, we tried. 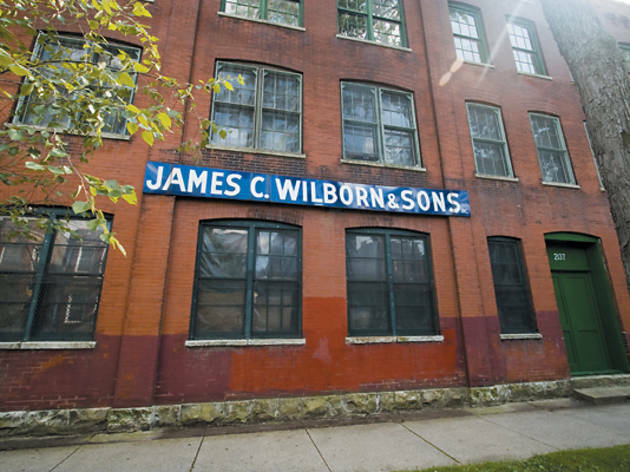 City archives indicate door and window manufacturer Wilborn & Sons folded in the 1970s. Tax records list the current building owners as James, Dorothy and Donald Kaji, residing at 1832 West Grand Avenue, home of Ijak Inc., a new- and used-machinery sales company. At 2pm on a Tuesday, the building on Iowa, a red brick industrial edifice occupying the entire south side of the block, is silent and no one answers the buzzer. Across the street, a neighbor in a workman’s jumpsuit who declines to give his name says the building is Ijak’s warehouse for equipment: lathes, compressors and milling machines. “I went there years ago when I needed a table for my drill press,” he says. At the Grand address, a boarded-up storefront, Dorothy Kaji answers the doorbell and tersely confirms the Iowa building is used as the family business’s storage facility but says she doesn’t know about the corkboards. So, some mystery remains. Curious about something around town? E-mail us at chicago@timeoutchicago.com.